Sort out, give away, throw away, modify. Does Marie Kondo do 'modify' I wonder? I had too much bed linen and not enough bedwear, so I've been making pyjamas out of a doona cover. The doona was a well washed cotton, so the material is soft and comfortable but the pattern I used for the PJ top was an ancient pattern for a beach shirt, a very voluminous garment as it turns out (the back is even longer than the front). The modification might need modifying (or I could wear it as a beach shirt). 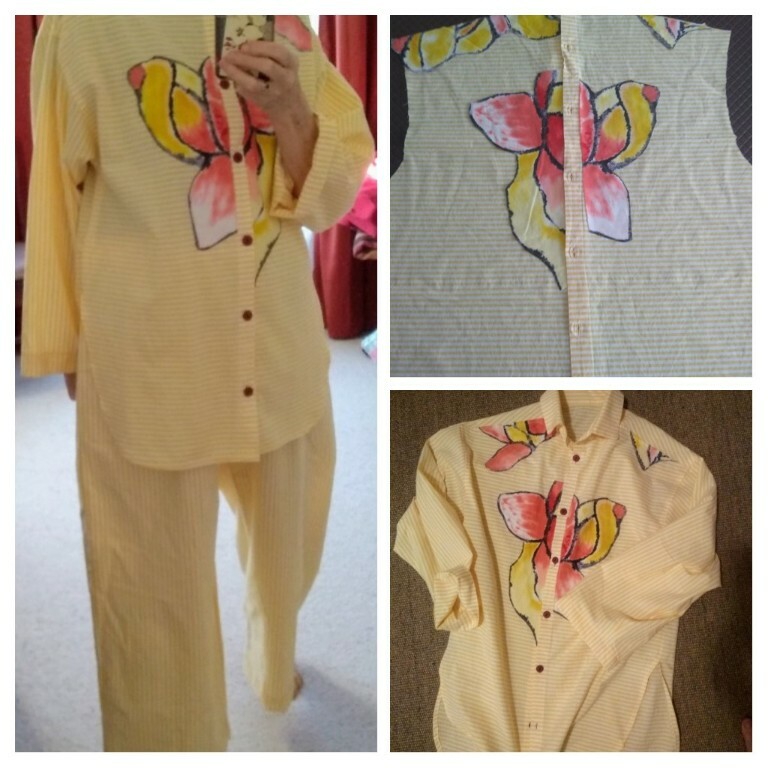 I think Marie Kondo would applaud your very stylish pj set.